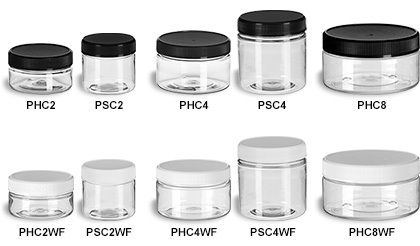 Our range of clear PET plastic jars with flat lids are a great choice for a huge range of products and applications. PET plastic is food safe and is the most commonly recycled plastic worldwide. These jars feature smooth sides and wide openings for easy filling. Choose between black and white lined ribbed lids below. All pricing includes both the jar and lid.